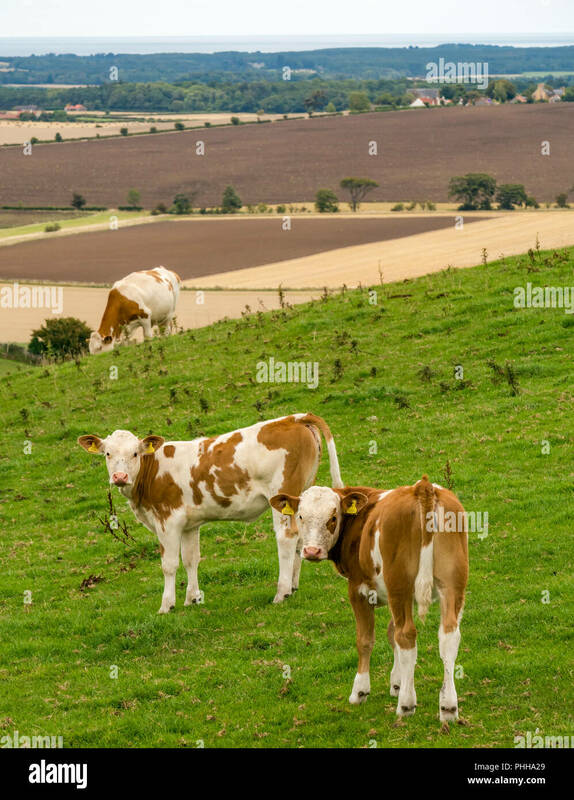 Can anyone tell me what breed of cow these are likely to be please? Ayrshire? Hi Sally I would have said they are Ayrshire crosses. They seem to have a bit of "beef" cattle in them, pure Ayrshires are a bit thinner like Friesians. 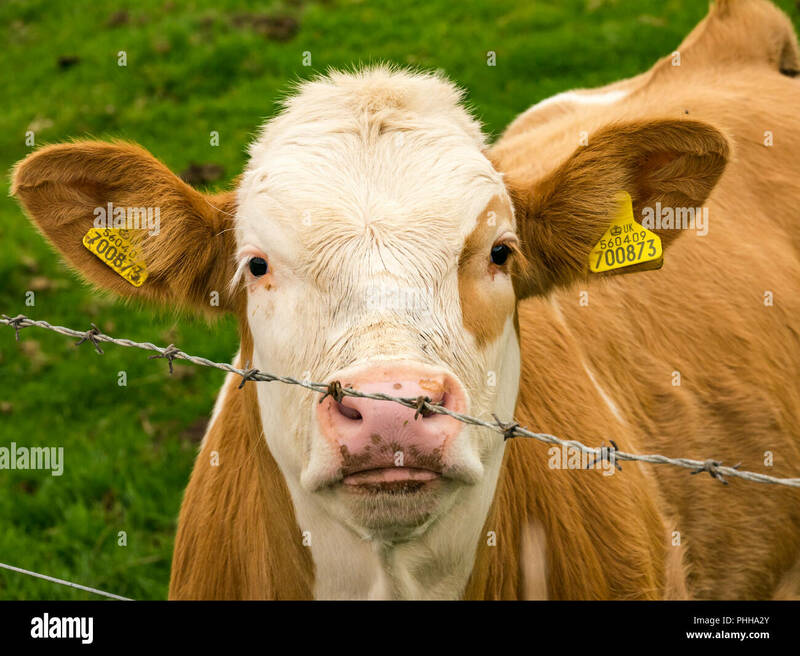 Sorry can't help but this poor cow seems to have barbed wire stuck up each nostril. Did you manage to administer first aid? I would think crossed with Herefords. Thanks all, I will investigate further. Alan, it was very curious. While the others moved away as I approached, this one kept coming over to see me. 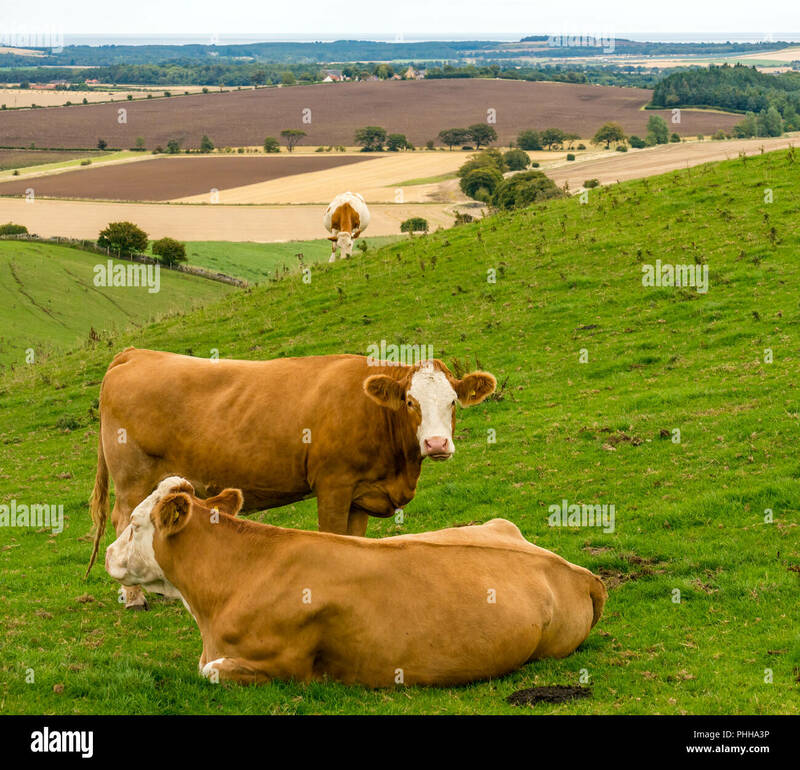 Actually, I looked up some government statistics about the most common cattle breeds in Scotland, and wonder if they are in fact Simmental, which is the second most common breed. They look like other images of them. i did wonder if there was a way of looking up a cow ID from the ear tag, like you can a car from its registration, but can’t find a way to do that. I'd go for Red Holstein or Rotbunt cattle. Too beefy for dairy cows. Also, you rarely see calves out with the cows (at least here in Ontario) if they are dairy. Cows are milked and the heifers are fed separately. The herd number which leads to the actual farm are in that number, if you could get that maybe a phone number would follow. Not sure if that ear tag data base is available to the general public though.